Every serious homebrewer dreams of the day when he’ll have his very own collection of top quality, stainless steel brewing equipment. Stainless steel is well known throughout the world of beermaking for its incredible integrity when it comes to keeping beers pure and uncontaminated, as well as for its incredible durability and resistance to damage. In fact, it is not unusual for a beermaker who invests in stainless steel to never have to replace his equipment again at any point in his lifetime. For that reason, it’s important to pick the very best equipment under the sun and what better place to start than with a steel fermenter of conical design. Conical fermenters are famous for minimizing the likelihood of contamination because of their flawless, seamless construction and many beermaking experts agree that they are absolute must-haves. Using a conical fermenter that contains the following features will deliver a even greater efficiency! Most expert-level conical fermenters are made of either aluminum or steel. Both are quite good as far as quality goes, and the beermaker on a budget might be tempted to go with aluminum, but stainless steel is considered to be superior for many reasons. For one thing, it’s infinitely more durable. Conical fermenters made of stainless steel are also more scratch resistant, ding resistant, and much easier to care for than their aluminum cousins. If you really like the idea of being able to pass your homebrewing equipment down to your children and grandchildren one day, stainless steel is definitely the way to go. Until recently, only factory-grade conical fermenters featured rotating rack arms, but as homebrewers become more demanding, more vessels have been including this feature. A rotating rack arm helps you optimize the brewing and separation processes to the greatest extent possible, meaning you get the very most out of each batch of homebrew. It is very much worth your while to go for a vessel that features one of these, such as the conical Blichmann fermenter known as the Fermenator. The very best conical fermenters feature airtight lids that keep your beer completely sealed throughout the entire brewing process. 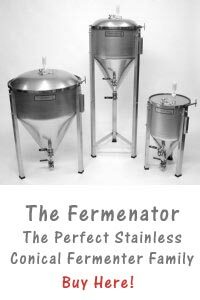 Again, the Fermenator is an excellent choice thanks to the way it features a stainless steel hatch with a truly impenetrable seal, putting it well ahead of its peers when it comes to protecting homebrew from contamination. Far too many conical fermenters that are otherwise very efficient cut corners when it comes to the lid, significantly lowering their value, so be sure to only invest in a piece of equipment that makes the grade in this area. 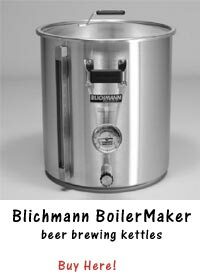 The very best stainless steel fermenter will truly cover all the bases when it comes to homebrewing in every way. They’re durable, easy to care for, efficient, and professional, allowing you to elevate the art of homebrewing to amazing new heights with a minimum of effort. Be sure to go with a trusted name with a long history of producing results and satisfying customers… like Blichmann! They’re the number one name in conical fermenters and top-of-the-line brewing equipment for a reason, after all!